We all know people like this, and it’s easy to let their negativity—born of abandoning their own dreams—to talk us into giving up on our own. Don’t do it! Your dreams deserve to live on for your to pursue them in the way that’s right for you, no matter what someone else chose to do with theirs. 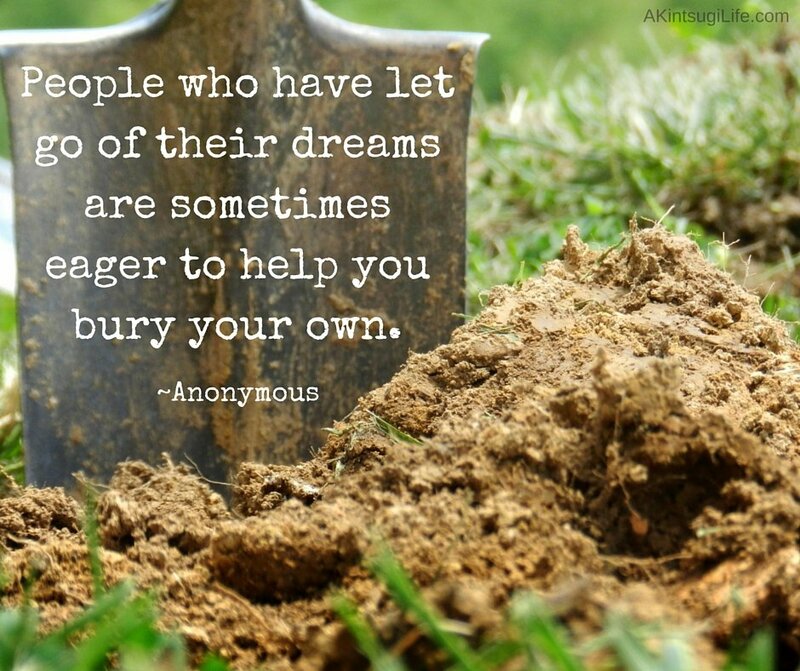 Recognize their negativity for what it is, and keep moving toward your own dreams!